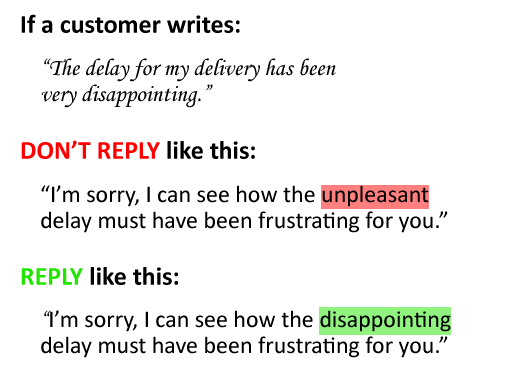 We investigate the fundamentals of saying sorry to a customer in a customer service letter. While you can create guides, apology letter templates do not work. This is because of these two additions that must be included in any apology letter. Don’t just say sorry, acknowledge the customer’s complaint to personalise the apology and allow yourself to show real empathy. The beginning of any good apology is personalised, saying sorry for the specific thing that went wrong. While you cannot template this kind of personalised apology, referencing the customer’s problem takes only a matter of seconds and makes the apology much more authentic. Customer complaints vary greatly, not just in terms of content but in terms of the emotions involved for the customer. So the degree to which you apologise must vary from one customer to another. What’s really sincere in one context can be really insincere in another because it’s either too strong or not strong enough. 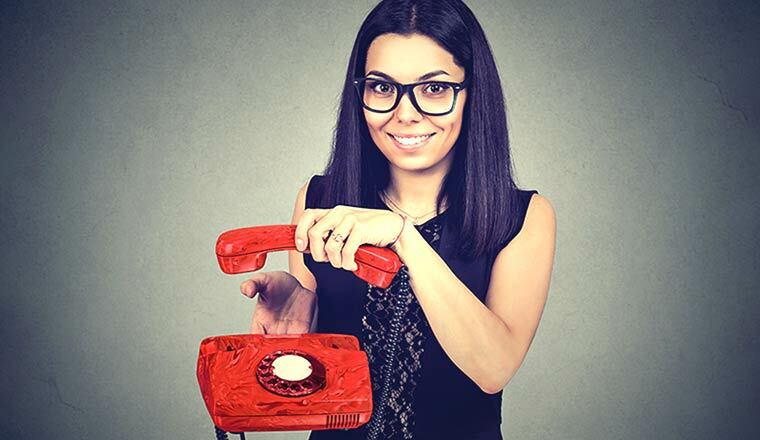 For example, if you represent the contact centre of a hotel chain, you cannot use the same template apology email for a situation where a customer says that their bathroom light was too dim as you would for a customer who found rats in their room. Whereas, for the bathroom light, a simple: “I’m sorry the bathroom light was too dim for your stay with us” is more appropriate. Anything stronger could be interpreted as sarcasm. While the two “keys” above are essential, here’s a list of other fundamental rules when writing an apology letter for customer service that you shouldn’t be getting wrong. Often, instead of just saying sorry, advisors follow templates that rephrase what only needs to be a simple apology. There is no more sincere word than the word ‘sorry’. But, particularly when it comes to letters, people feel the need to go more formal. 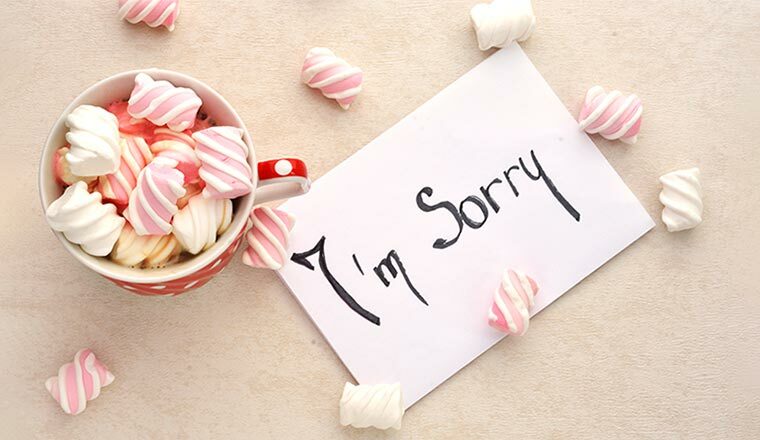 When someone writes “apologies” or “regrets” it can seem as though they are purposely avoiding the word “sorry” and, while that may not be your intention, that is how many people will interpret it. There are words that advisors may include in their letter that will completely undermine the apology and imply doubt in the customer’s story. This can frustrate customers, which is the exact opposite of what you want to do – reassure them. A lot of companies throw a generic apology out there in the hope that it appeases whoever has written in, but people see through that. Earlier we stated that you shouldn’t apologise if you haven’t made a mistake. However, this doesn’t mean that you shouldn’t show empathy. After all, an apology and empathy are two different things. It’s just as bad to apologise for something that you haven’t done wrong as it is to offer an insincere apology when you have done something wrong. This is because it adds up to the same thing – sounding insincere. Just remember that if a customer has had a problem and they’ve taken the time to talk to you about it, empathy always has a place, but the apologies only have a place when the company’s done something wrong. Reflecting back the customer’s words will help to demonstrate that you have understood their problem and helps to further personalise the apology. However, when used correctly, this technique can be great to show the customer that you understand their problem, which is important in reassuring the customer after an apology. Culturally, organisations can be very defensive, with many advisors feeling as though their job is to defend the reputation of their company, which can lead to them adopting the wrong approach when writing. When it comes to a customer service letter, there is a misconception that the letter is almost some sort of legal document, when it’s not. This brings up another point of not being scared to be informal, particularly if the customer isn’t formal themselves. If you use less formal techniques, such as writing “I’m” instead of “I am”, you’ll appear more genuine. Now we know the keys in terms of language and approach to an apology letter, what about the order in which we present information? While a letter may seem like a more formal channel of communication, the structure of an apology shouldn’t differ too much from an email, in that the apology statement should come as early as possible. However, when reading a long block of text, it will be common for the customer to just scan the page. Therefore, if you bury the apology, not only will it seem as though you’re “hiding” it, but there’s a chance that the reader will never even see it. The basic principle of writing to customers is to order the content in terms of importance to the customer. Therefore, straight after the “thank you” and apology should come the solution. Offer further reassurance and other contact details. Now we know how to structure an apology letter to a customer and the key do’s and don’ts, let’s take a look at an example that includes all of these best practices. In this example, we are offering a response to a complaint where a customer has complained about having to stand up on a train. I went from Swindon to Bath last Saturday to watch the rugby. It was packed the moment I got on and I had to stand all the way. I then had the same on the way back – not great! It put a real downer on the day. You know that rugby match days are going to be busy so why don’t you put on more trains and carriages? I really don’t fancy the prospect of standing again. Thanks for getting in touch about your return journey from Swindon to Bath last Saturday. I’m sorry to hear you had to stand on the way to and from Bath when you travelled with us. I can see how this would put a downer on your day. We do put on extra trains and carriages during match days. At certain times, particularly the 11.13 service and the 17.52 service you were on, the trains get very busy as these are such popular times to travel. The best way to make sure you get a seat is to book in advance at trains.com. You’ll also get the cheapest fare that way. Or if you prefer, give us a call on 01234 567890 and one of our team will be happy to book them for you. Please let us know if there is anything else that you would like to discuss, we always appreciate feedback from our customers. It adds in personal information – As well as reflecting back on what the customer said, this example goes one step further, identifying what times the customer travelled. This signals to the customer that the advisor has done their research. It uses first-person pronouns – The advisor takes ownership of the customer’s problem, saying “I’m sorry” and “I can see”, instead of using the more corporate “we”, which lacks authenticity. It sticks to one idea per sentence – In this letter, long chunks of information are broken up into short sentences, to make all the information easily digestible, with each sentence presenting one idea at a time. It follows the customer’s lead – Instead of starting with “Hi” the advisor uses “Dear”, just like the customer had done, so the advisor is leading with language that they know the customer is comfortable with. It directs the customer to a more efficient channel – After presenting all the key bits of information, the advisor presents internet self-service and offers a phone number, which helps to influence the customer’s choice of channel. 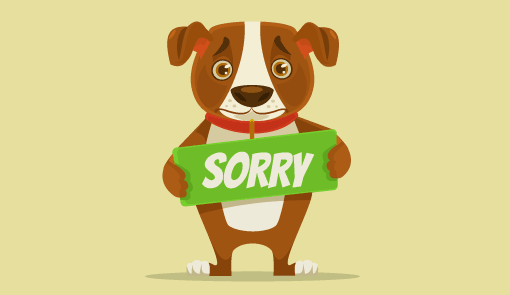 When writing an apology letter for customer service, you must say “sorry”, reference the customer’s issue and show empathy, while it’s also important to vary the strength of the apology so it fits the seriousness of the issue. Other best practices include using the customer’s language where appropriate, avoiding words like “any” or “may” and sticking to one idea per sentence. Finally, in terms of structuring the apology letter, start by thanking the customer for getting in touch, then add your apology statement and empathy, before sharing the proposed solution.